Dreamstel offers excellent support services for all your Salesforce related requirements. 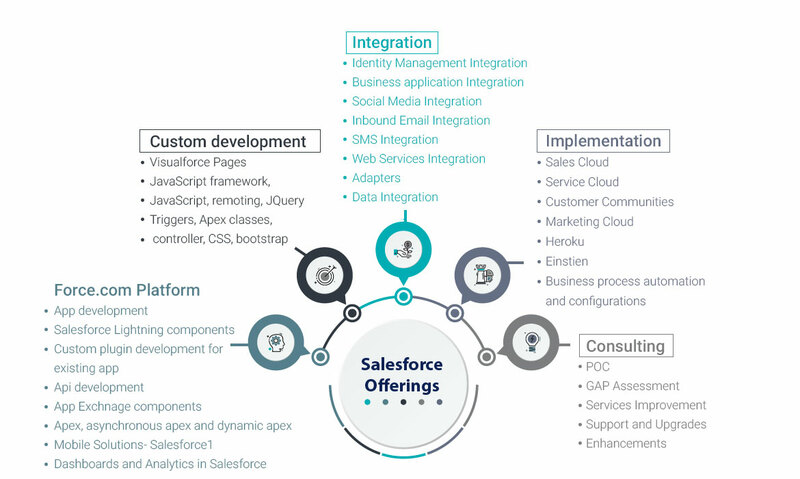 We have a demonstrated group of IT experts who are certified Salesforce Developers, and they understand and customize your errands in a way that would benefit the process of transforming your business. Take you pick from a team of hand-picked engineers to work on your projects. Our Salesforce admin and developer services offer you commitment models that reflect a variety of work procedures. These are transparent and easy to understand. You can say good bye to IT and Salesforce issues, when our certified developers are at work. When it comes to Salesforce support, go for nothing but the best. We offer Salesforce admin to developer services at the most reasonable rates, and our work records are impeccably good.